Ever thought of living life on the farm? It could be beneficial as a homeowner as well as a land investor. This week we are checking out some prime farm properties hitting the auction block. 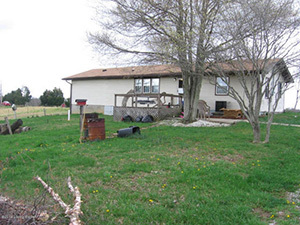 Check out Farm & Home Realty and Auction’s offering in Clarkson, Kentucky. With a 2-bedroom, 1-bath home sitting on 68.9 acres of agricultural farm land, this property boasts 17 tillable acres and 83 wooded per PVA, breathtaking cliffs, a creek and a spring adding to its picturesque splendor. Extra perks include a shed, stocked pond and approximately 1200 feet of blacktop frontage on Grogham Road. PA digs this one for its peaceful setting yet convenient access to the main town and WK Parkway. Auction date is September 6th.